Each year, humpback whales gather to mate and give birth in the warm waters of Tonga. This provides a rare opportunity for humans to interact with these magnificent marine mammals in warm, clear water. Swimmers suspended on the surface can follow the actions of mothers as they nurse and nurture their calves. These encounters take place in calm seas, with expert guides and skilled boat crews always nearby. Along with swimming with mother and calf, expedition leaders look for other exciting encounters. There is the remarkable sight of a 40-ton, 45-foot-long humpback whale breaching, teaching her calf to leap out of the water. 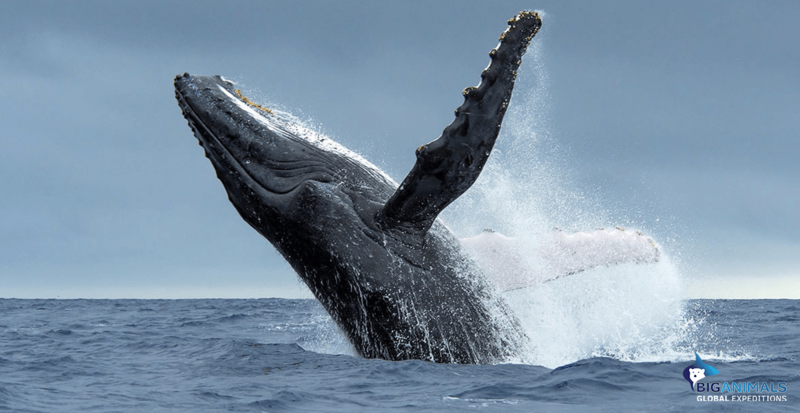 Swimmers may hear males singing to attract an available female, or witness the dynamic efforts of male humpback whales vying for the attention of a female partner. Caradonna and BigAnimals Global Expeditions choose the ideal time and place to encounter migrating humpbacks when the mothers are nursing and raising newborn calves. These expeditions take place before the peak tourist season starts and crowds arrive. Participation is limited to six guests, who stay on private Foiata Island.